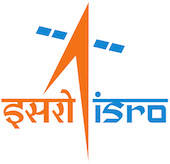 ISRO Satellite Centre (ISAC), Bengaluru invites Online applications for recruitment of Technician-B, Draughtsman-B, Technical Assistant, Scientific Assistant, Library Assistant and Nurse-B on Temporary Basis, which are likely to be continued indefinitely. The last date for submission of online applications is 17th June 2016. Age Limit: 18 to 35 years as on 17/06/2016; For SC and ST Candidates 40 Years and for OBC candidates 38 Years; Ex-Servicemen and Persons with Disabilities (PWD) are eligible for age relaxation as per Government of India orders. Technician-B / Draughtsman-B -> SSLC / SSC / Matriculation + ITI/ NTC/ NAC in respective trade from NCVT. Technical Assistant -> First Class Diploma in concerned discipline from a recognized State Board. Scientific Assistant -> First Class Graduate Degree (B.Sc) in Chemistry. Library Assistant -> Graduate Degree and First Class Post Graduate in Library Science / Library & Information Science or Equivalent. Nurse-B -> SSLC + 3 Years Diploma in Nursing in first class. Selection Process: Written Test and Skill Test. The Initial screening, based on the academic performance and other parameters given in the on-line applications and only those screened-in candidates will be called for Written test. Application Fee (A Non-Refundable): ₹ 250/- for for each application for Male candidates belonging to UR and OBC only. No fee for Women / SC / ST / PWD / Ex-Servicemen candidates. The fee can be made through Prescribed Bank Challan. After registration of application through online, the candidate has to download and print the personalized payment challan form, in triplicate, from the ISRO website which will contain the Name of the candidate, Registration Number, Receipt Account Number, Advertisement No. and post code. The candidates may visit the nearest branch of State Bank of India for remittance of application fee to Receipt Account (account number which will be published in the ISRO website), by using the personalized payment challan of State Bank of India (SBI) on or before 17th June 2016. The candidate may download and print the personalized payment challan from the ISRO website on or before 17/06/2016 and remit the application fee to State Bank of India before 17/06/2016. Upon remittance of the application fee, one copy of the challan form will be retained by State Bank of India (Bank copy) and remaining two parts will be given to the candidates. Out of the two challan parts, the candidate has to send one part of the challan form (ISRO copy) to Sr. Administrative Officer (RMT), ISRO Satellite Centre, Old Airport Road, Vimanapura Post, Bengaluru -560 017 by Ordinary Post super-scribing "RECRUITMENT TO THE POST OF _____ (Post Name) [_____ (Post No..)]" on the envelope within 07 days of filling of application and in any case not later than 24/06/2016. How to Apply: The eligible candidates are required to Apply Online through ISRO Website, The Online Registration close on 17/06/2016.